You might be thinking LinkedIn cannot offer a lot except serve as your online curriculum vitae. Many real estate agents truly believe in the word-of-mouth channel as the most secure one for obtaining their next leads a.k.a investors. But why not try new ways of reaching new people that may share your point of interest in the social media? When thinking of a social network that gathers the B2B community, the first social network we recall is LinkedIn. Since it’s officially launched on May 5, 2003, LinkedIn still remains as number one choice among business professionals. Official data revealed by LinkedIn, further confirm this social media platform as the world’s largest professional network on the Internet with more than 400 million members in over 200 countries and territories. So LinkedIn is not the place where you can simply “place” your online CV, but share knowledge with the interested ones in the real estate investing. 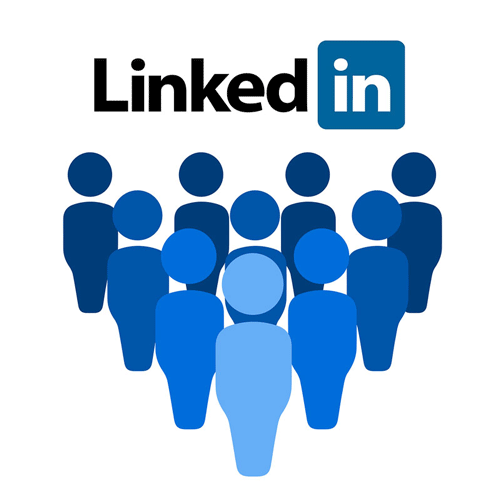 Both, LinkedIn groups and LinkedIn Pulse can help you gain credibility and authority as a professional and thus strengthen your presence on LinkedIn. Furthermore, throughout the years of operating, LinkedIn has officially launched products like LinkedIn SlideShare and its most recent the LinkedIn Profinder. Using them in parallel with all other online marketing activities could be a great deal. So let’s nurture a bit deeper and see what LinkedIn can offer to the real estate industry. Before you dive in into any kind of action on LinkedIn, take a look at your LinkedIn profile. As a real estate agent, you must take care of all the information are relevant and updated. Imagine yourself standing in front of someone you’re about to meet for the first time. Despite the CV’s, Linkedin does not give a limit in pages. So think wisely of all the information you could possibly share. This will further include all your latest professional achievements and narrow your area of interest. Industry: LinkedIn gives the option to choose the industry you are operating in. Be sure you have chosen “Real Estate” category as the main one. Profile picture: Do not exclude this part. A high-quality, recent profile picture of yourself, with a formal dressing code, would be the best bet. Professional Summary: These paragraphs, are right under your profile. Think of creating a compiling, short and catchy summary that reveals your best paste and present deals. You can even narrow to your operating area and interests of work. For example, think of answering questions like: Do you look for investors which have interest in residential, land or commercial properties? Are you interested in Fix & flip investors? Or you can even think of differentiating between “international investors and private investors who are purchasing properties and investing in overseas projects”. Answering these question will make potential leads clearer picture and enhance their interest to ask you questions. Photos, Videos, Presentations: Use the possibility from LinkedIn to attach photos, presentations and videos that give a great highlight of your past and most recent work. 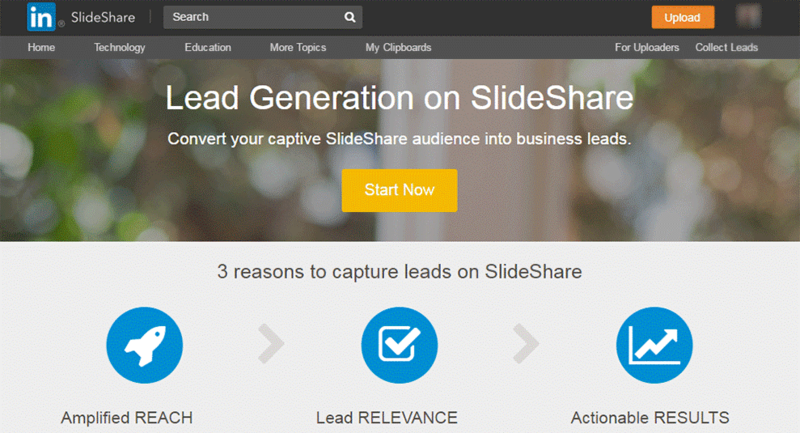 Did you know that you can capture leads through Slideshare? Read the superpowers of Slideshare at Point 3 in this blog. Ask for recommendations: Recommendations can further boost your presence on LinkedIn. Networking is the essence on LinkedIn, so recommendations do still work. Do you have past or present investors you have done a great collaboration with? Are they present on LinkedIn? Super. They don’t need to be savvy tech investors to write a short experience on the working experience. You can easily send a recommendation by going in the section “Edit your profile”, and then in field “Recommendations” you simply click “Ask for recommendation”. Plus, you’ll see the requests for recommendations you’ve sent. Now, after you have achieved the level “All star” you are ready to start on LinkedIn Pulse. LinkedIn Pulse is an online news aggregation feed within LinkedIn and as a tool is available for all members of LinkedIn. Share useful tips and knowledge as short informative articles up to 500-word length. You would always get the attention with short and attractive headline such as “How can real estate investors truly benefit at real estate investing”, “How real estate investors can avoid miscalculating estimates” or “When investing in real property becomes a more appealing idea”. By demonstrating a thorough knowledge of the market, your potential leads – investors may get the picture that you understand well the market and you can offer great opportunities at a great value. Before you hit the publish button, be sure you have done a little research with the most searchable keywords related to real estate investing and then feature them in your article. By adding keywords, you will increase the chances of your audience clicking on your content. This will lead to higher visibility to your profile and will create opportunities for you to connect with a wider audience. If you post regularly you can come to the stage to evoke your potential leads – investors, commenting on your post and even commenting and get in touch. Slideshare is a product of LinkedIn, so practically both platforms are very well synchronized. By inserting lead capture forms within presentations, documents and video you can collect the emails of the viewers. By contact form at your last slide, whereas the LinkedIn user can fill in after reviewing few slides or they can click the permanent display button that shows up on the slide player. By a contact form which shows up when your user shows interest and practically downloads your presentation. After the collection of emails, you can use these contacts in another communication campaign, like email marketing. If you miss an idea how to make your presentation work, you can check LinkedIn SlideShare blog here and get free tips and professional advice. Groups open the chance of customized and targeted communication with the members of the groups. And members are always LinkedIn users which prefer sharing knowledge with LinkedIn users, preferably, with the same interest – in our case real estate investing. LinkedIn groups are a great place where you can engage with people and speak about opportunities in real estate investing, whether it’s knowledge of the upcoming pipeline of new developments or briefly sharing trends about business. Being a member of these groups offers you the opportunity to write directly to group members via personal message to the member in the group. So, use this LinkedIn feature which is still given for free. Now, when we have set up a great LinkedIn profile, we can try the “LinkedIn Advanced search”. One of the most powerful things about the LinkedIn is its search capability, although it takes many professionals a while to discover the power of people advanced search. 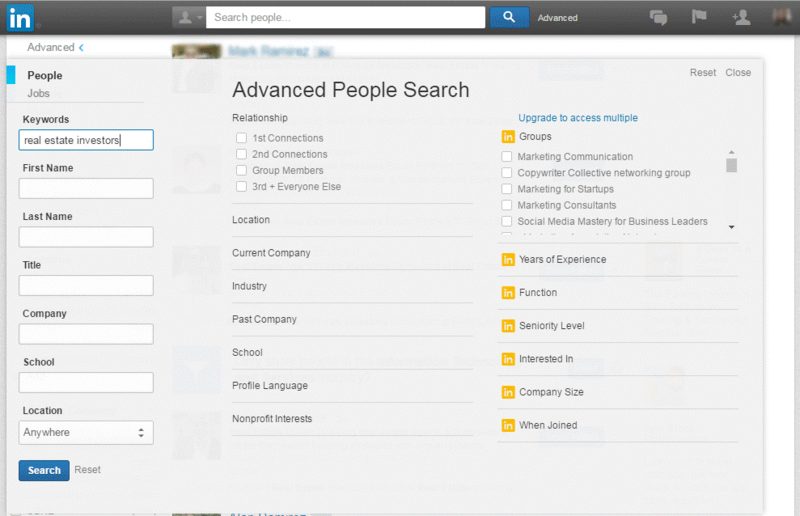 You can access “advanced search” by clicking “Advanced” next to the search bar on the header of the LinkedIn website. Let’s say you are interested in real estate investors from a particular Real Estate Investment company in a definite location. Except by defining your search with one general keyword “real estate investment”, you do execute a tight search that only returns people who currently work in the Real Estate Investment company in their current role. Then you can easily make a list of potential leads and go to the next step to make a connection. The possibilities here are endless. Yet, a pilot project by LinkedIn, “LinkedIn Profinder” promises a lot. LinkedIn Profinder was officially presented by LinkedIn in October of last year. 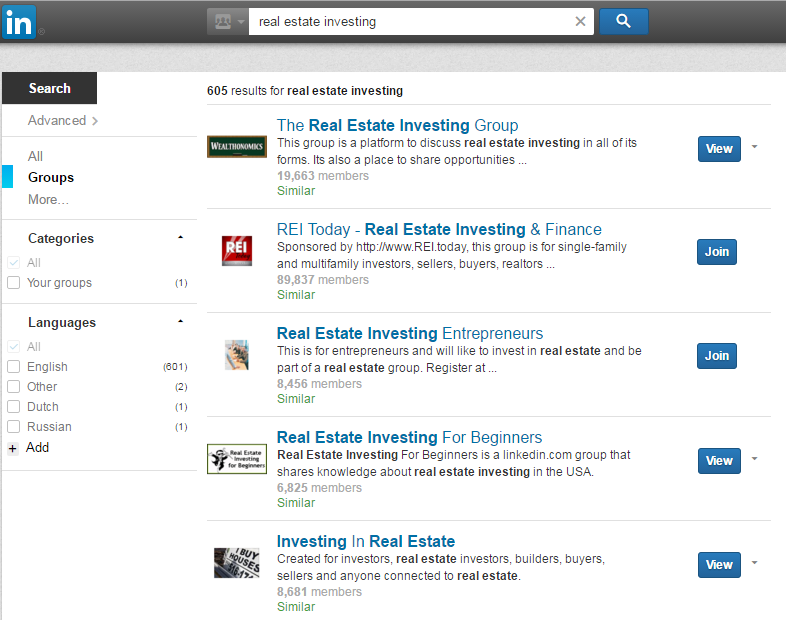 Future leads investors can come to you by browsing at the search bar on the LinkedIn Profinder Page. 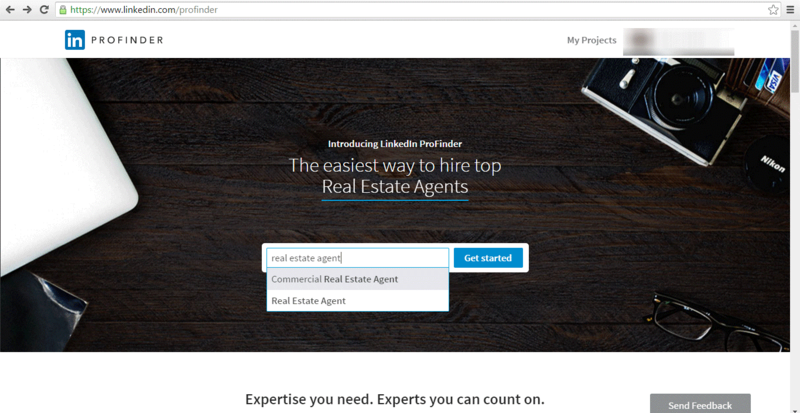 In spite of the fact that the service of LinkedIn ProFinder is available in Los Angeles and California, it shows great potential to include new different areas soon. And why not be available for your interested clients among the first ones here? Being on LinkedIn and not using all its fruits is a waste of time. As a real estate agent, you can truly benefit by using the LinkedIn platform in the process of communication and obtaining new leads. LinkedIn is the most powerful B2B community that offers high-quality leads. In doing so, never underestimate the true potential of your personal LinkedIn profile. Updating your profile with your latest professional achievements can bring you further benefits like great first impression and clear overview of the opportunities you can offer. Sharing articles on LinkedIn Pulse and demonstrating a thorough knowledge of the real estate market, will raise your credits and credibility. Today LinkedIn is adding something more by way of SlideShare, its site for uploading and sharing presentations. Be wise and use SlideShare to capture leads that have shown a great interest in your offering. Also, the best part of LinkedIn is definitely its “Advanced” search. Explore which people are operating in your concrete field of interest and create your list of your leads of interest. Then simply contact them by a personal message by using the information they’ve already shared on their profile. Through LinkedIn ProFinder, potential clients looking for marketers will request the services they need. The good here is that, as professionals, LinkedIn ProFinder also includes real estate industry. This is a good chance your next clients to catch you here cus the popularity of this recruitment service is assumed to grow rapidly. Be among the first ones using LinkedIn ProFider and try a new way of communication.